Electronic slot machines — the latest addition to gambling operations on the Mohawk territory of Kahnawake, on Montreal's South Shore — has band members lining up on either side of a bitter debate. It has poker tables, slot machines, valet parking and a restaurant. A hotel is in the works. But don't call it a casino. "I think a lot of it just boils down to perspective," said Mackenzie Kirby, one of the Kahnawake Mohawks licensed by the band's gaming commission to operate Playground Poker on Highway 138, on Montreal's South Shore. "If we're going to call your shirt blue, and I think it's black — again, it really depends on the person's opinion," he said during a tour of the operation. Whatever it's called, Kirby says "the sky's the limit" for the gambling operation, located on a strip of highway that runs through the Mohawk territory of Kahnawake, among the gas stations and tobacco shops just north of Châteauguay. A six-storey building is sprouting up behind the games area — the future home of a hotel and room to grow. But Kirby and his investors' big gamble is on a vast, windowless room just a little smaller than a hockey rink, filled with electronic gaming devices (EGDs). Playground Poker has 350 of the machines, from retro-style spinning fruits to high-tech terminals with high-definition screens and footrests. Kirby, 30, who was born and raised in Kahnawake, has been involved in the business from "almost day one," when Playground opened its doors eight years ago, strictly as a poker hall. He says he's proud of the multimillion-dollar EGD expansion and insists they are "not slot machines." "The difference more comes from a technical standpoint," he said. "The guts of the machine, if you want to call it, are different." Words matter, especially in Kahnawake, where "slot machines" and "casino" have a contentious history. Driving through town, reminders of a divisive referendum on a $50-million casino project are fading but still visible, seven years after it was held. "No Casino" stickers still adorn some of Kahnawake's distinctive bilingual stop signs, written in English and Kanien'kéha, the Mohawk language. "It's definitely a polarizing issue here in the community," said Merrick Kahroniakete Diabo, a social counsellor at the local high school, Kahnawake Survival School. "When it came to gaming of that sorts — you know, with the one-armed bandits, the video poker — it was very clear that the community didn't want a casino," he said. 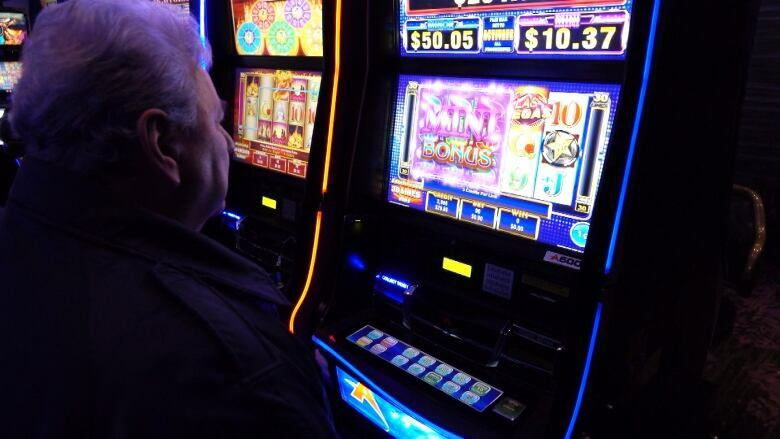 Kahnawake residents have voted down a casino three times over the years. The 2012 referendum was a squeaker: the casino was defeated by just 24 votes, 846 to 822, with 29 spoiled ballots. Diabo says the message was clear enough: Kahnawa'kehró:non — the people of Kahnawake — don't want more gambling in their backyard. He compares Playground Poker to the Casino de Montréal, on Île Notre-Dame. "There's poker. There's video machines," Diabo says. "So just call it what it is, you know. We're not stupid." Many in the community of just over 8,000 agree, although some are reluctant to speak out against the EGDs. "I don't think it's good for our community," said Kahenge Leborgne, as she stopped at the local credit union. 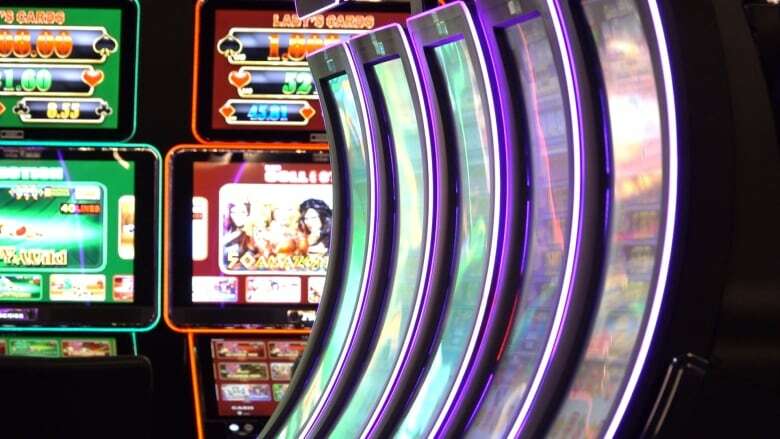 Leborgne says she's worried the machines will feed gambling addictions — something she says she's seen first-hand. "From the outside looking in, it's not very pretty," she said. "It's not nice to see people work hard for their money, just to throw it away." Council Chief Gina Deer, who's in charge of the gaming portfolio for the Mohawk Council of Kahnawake, says so far, only about seven per cent of Kahnawa'kehró:non have tried the EGDs. Visitors must insert a personalized player card to engage the machines, so operators can track data such as where a gambler lives and how much that person is spending. The licensed operators of Playground Poker must report back to the Kahnawake Gaming Commission, which is on the lookout for illegal activities like money laundering. Deer says the gaming commission has a self-exclusion program that lets problem gamblers ban themselves from all gaming facilities, for periods of at least six months at a time. Deer, who recently travelled to the United Kingdom to attend ICE London, an international gaming expo, is sold on the economic benefits of the EGDs. She says the two gambling establishments in Kahnawake, Playground Poker and Magic Palace, have agreed to pay a minimum of $1 million in royalties each per year, for the duration of the three-year pilot project. Deer says the $6 million will go into the coffers of Kahnawake Mohawk Council (MCK), to help the community become less reliant on "the dollar from the government." In the past, revenues from poker rooms and online gaming sites have paid for Mohawk language education, a driveway-shoveling program for elders and the upgrading of a children's splash pad. Kahnawake's expansion into EGD gaming isn't only facing opposition from within: the MCK is also at a stalemate with the province on the project's legality. Quebec's gaming corporation, Loto-Québec, declined to comment on Kahnawake's EGD pilot project, but in a statement, it said, "according to the Criminal Code only provincial governments, in accordance with their laws, may offer games of chance." In Quebec, all video lottery machines must be licensed by the province. Kahnawake's machines are regulated through its own gaming commission, whose authority flows from the band council. "It's always illegal when we start to make money, and somebody else isn't," said Deer, who says there's evidence Mohawks were engaging in wagering and betting long before Europeans showed up on their shores. Despite repeated requests, Finance Minister Éric Girard would not say whether the province considered Kahnawake's EGDs illegal. 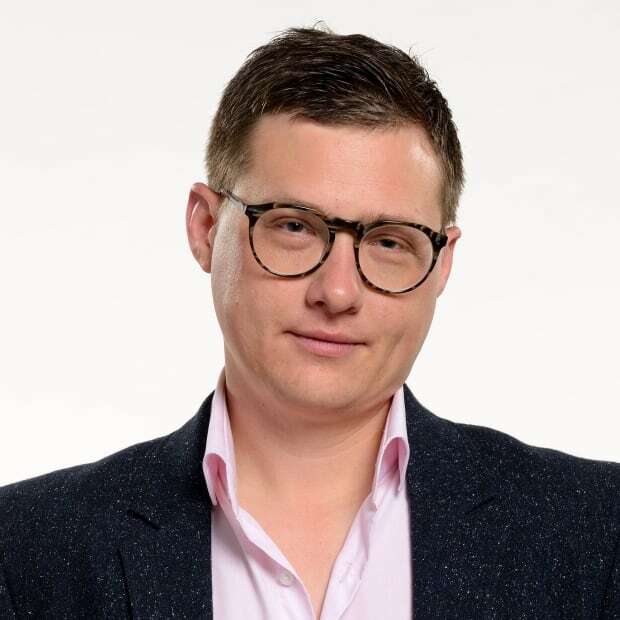 In a statement, his spokesperson said they know about the machines and are discussing the issue at the Québec-Kahnawake table in hopes of reaching "an agreement that will benefit all." The Mohawk Council says so far it hasn't received any correspondence from the province, Loto-Québec or provincial police about the EGDs. Instead, it says it's going after a broader "entertainment dollar." But across town at Magic Palace, the second gambling establishment sanctioned to operate EGDs in Kahnawake, Louie John Diabo is more candid about his target market. "Of course, we have to be competitive with the Montreal casino as well," Diabo said, "Because we're the newest player, we're trying to be aggressive in our promotions, advertising, things like that." Magic Palace has only been open for two weeks, has no poker tables and no celebrity endorsements — unlike Playground Poker, which boasts Canadiens legend Guy Lafleur as a spokesperson. It's looking for all the business it can muster to get its 373 machines humming. Diabo says each EGD cost $16,000 to $20,000 apiece. But while he's competing for players with Playground Poker, Diabo shares Kirby's conviction that whatever negative impact gaming will have on his hometown will be outweighed by its economic promise. "We have an economy that's struggling in the community, there's no secret to that," Diabo said pointing to Kahnawake's high unemployment rate. "Loto Quebec doesn't seem to have a problem with them having vices," he said. "Why shouldn't the Mohawk people prosper from a project like this?"